Day 2 in San Francisco was race day! We got up bright eyed and bushy tailed-haha let’s not kid ourselves, I hate mornings! Aiko and I posed for a pic right before we lined up for the race though. Did I mention the race started at 6:30 freaking AM???!!! What world are we living in?! 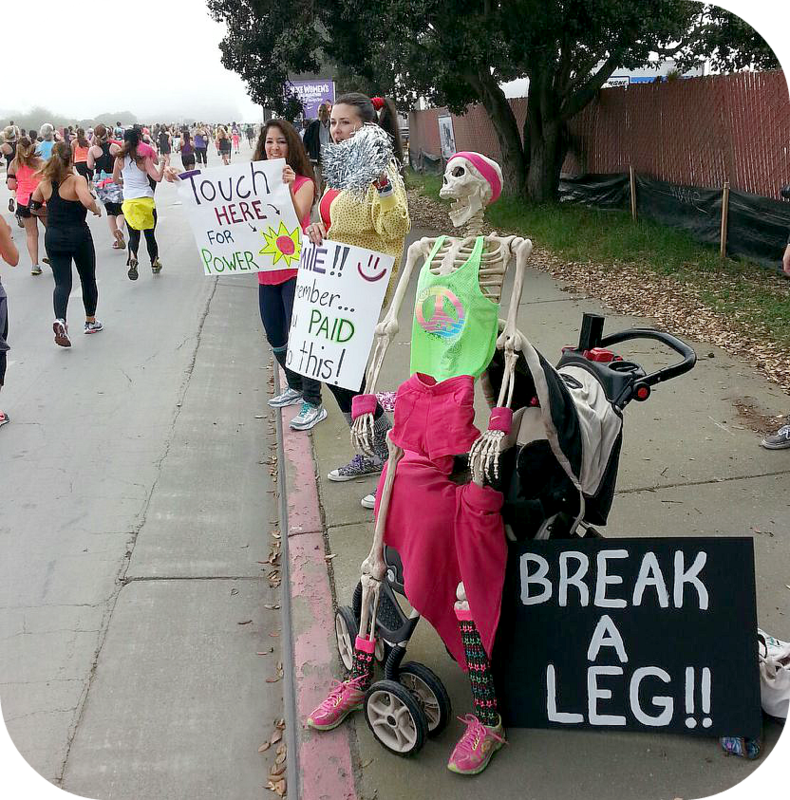 There were cheerleaders and music and people cheering at every half mile to a mile! 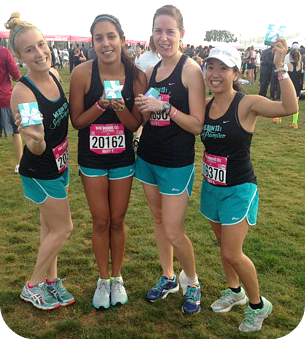 It was one of the most amazing, well covered races I have ever experienced! I stayed with Aiko for half of the race and then my Achilles flared up. I ended up having to slow down to finish the race, but I still finished around a 9 minute pace — 1 hour 58 minutes. Not bad, considering I have shin splints and my Achilles was dying. I’m obviously not dramatic AT ALL. 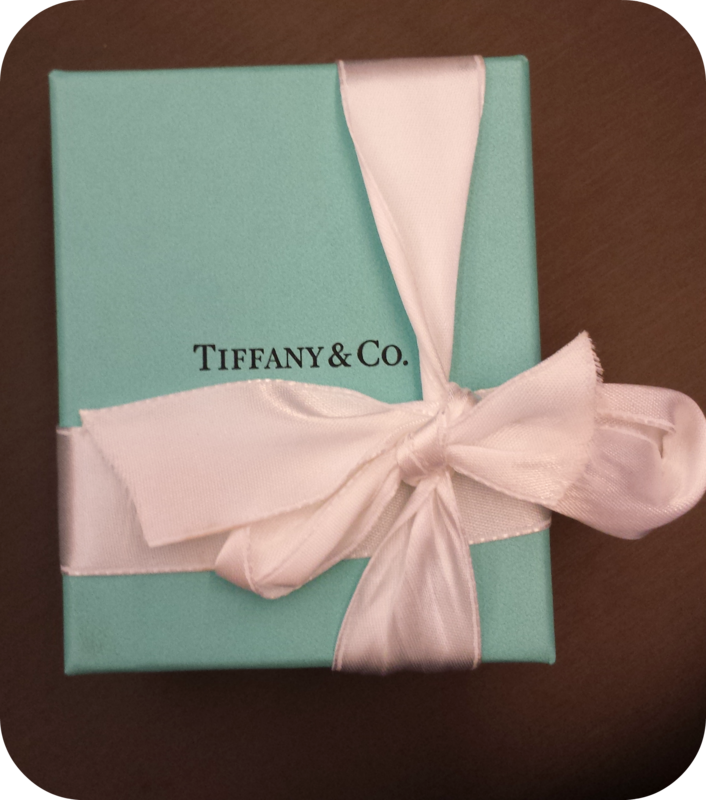 Annnnd I got my Tiffany’s finisher necklace (the entire reason for doing this race pretty much). 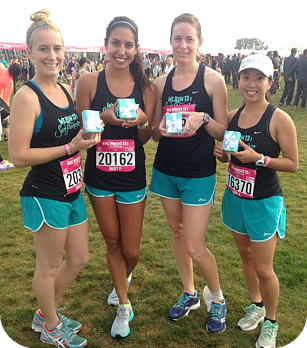 We snapped a few pics of all of us (Aiko, Maggie, Mary, and me) after the race in our matching outfits. There was so much free stuff there, but there were also thousands of people, meaning it took hours for Aiko and I to find our boyfriends and finally get back to the hotel. It was a nightmare. We were under a time crunch because we had tickets to Alcatraz that day too. Once we were showered and checked out of the hotel, we immediately grabbed a taxi to Pier 39 and grabbed some lunch. 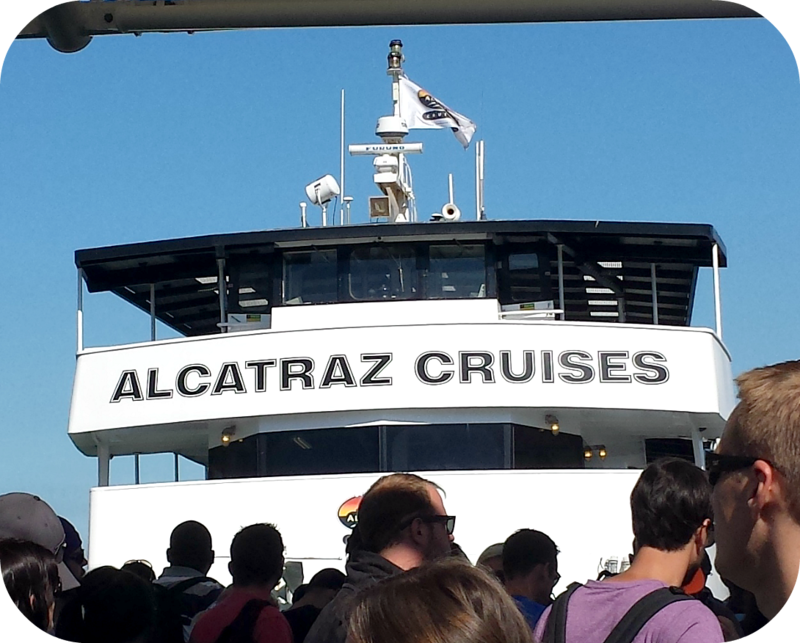 After lunch we got in line and waited to jump aboard the Alcatraz Cruise Ship! The boat ride was only about 10 minutes long, which I liked because I get sea sick very easily. Anyway, the view of the Island was amazing on the boat ride over! 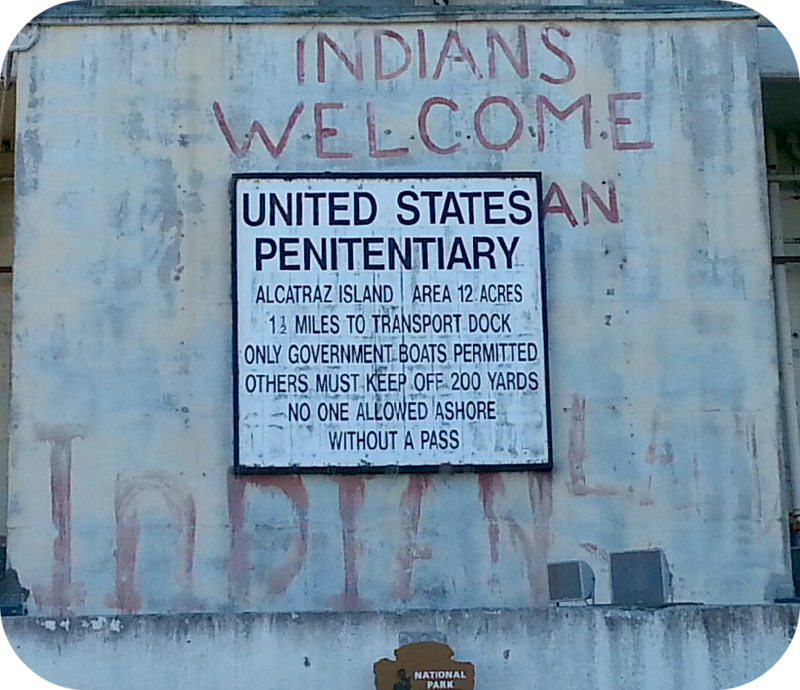 Can anyone tell me why they specifically wrote about Indians on this sign? We walked around outside of the buildings, and then finally went on a self guided tour through the Alcatraz prison. 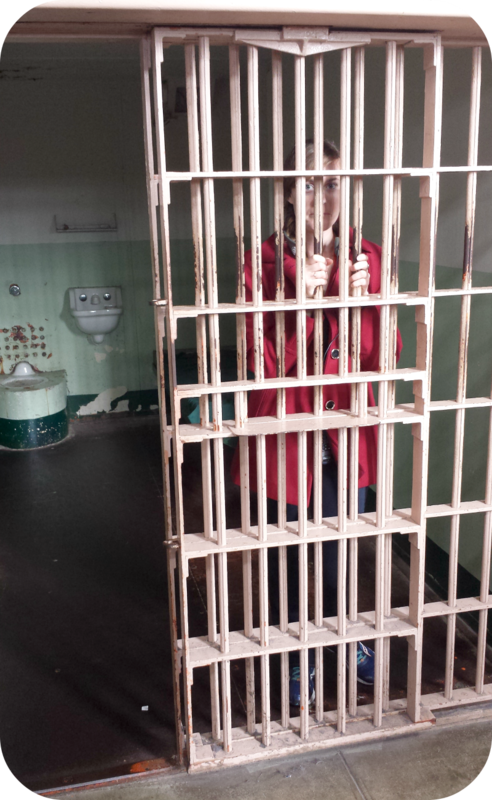 Their cells were very small. 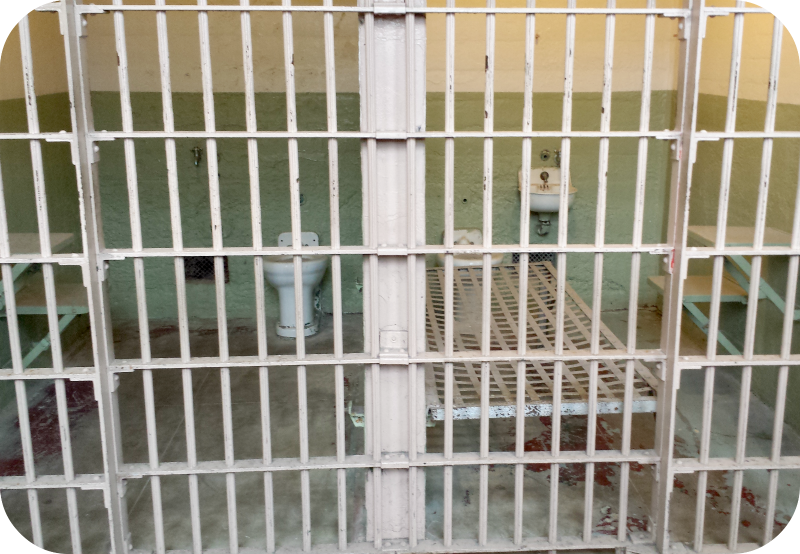 The building was three stories (or cells) high. 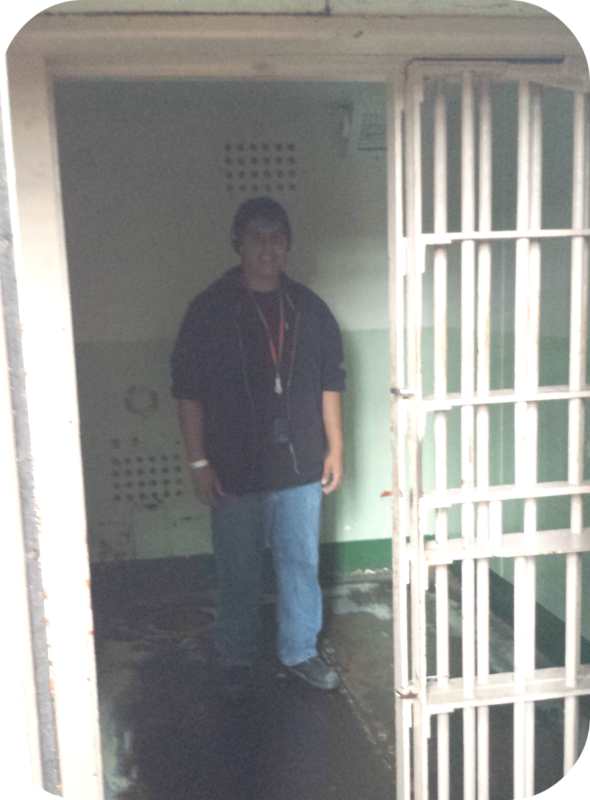 Ban and I both checked out the inside of the cells. The view from the Island was beautiful! After Alcatraz Island, we took a taxi to the airport and relaxed until our flight home. It was a long, interesting day! I really enjoyed our mini trip! Do you ever take mini weekend trips?